Easiest way to learn the mandolin chords! If you want to learn how to play a mandolin, or just want to expand your chord horizon, “Mandolin chords Lite” is perfect for you. 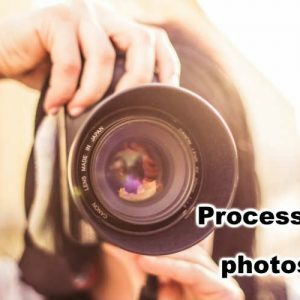 This free app offers you all the important types of mandolin chords, as well as the frets and finger positions on the fretboard. 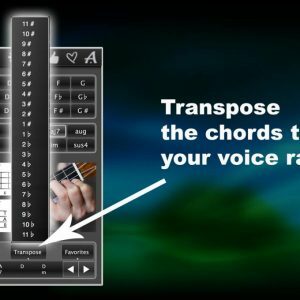 If you need more chords, including the little used and the rare chords, then just upgrade the app to the full version, 120MandolinChords! 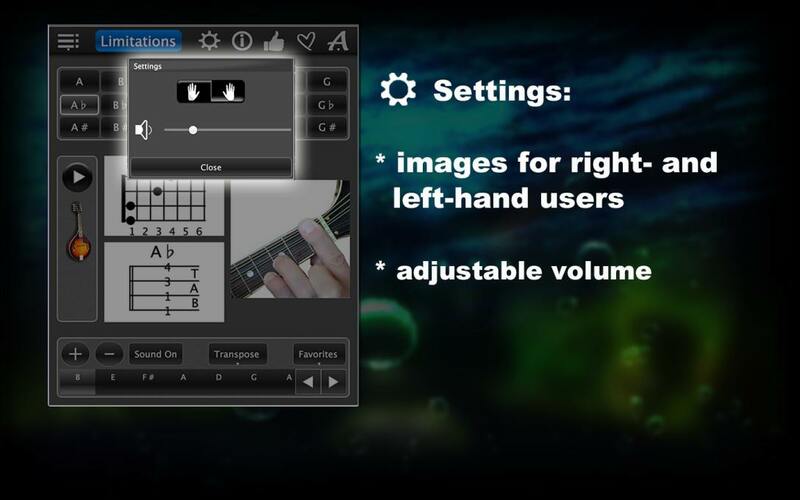 MandolinChordsLite has been designed for both right and left-handed, has a volume control option and graphics in very high resolution. You have the opportunity to play each chord with an authentic sound, learn and practice chords, and create your own chord sequences for your favorite songs. 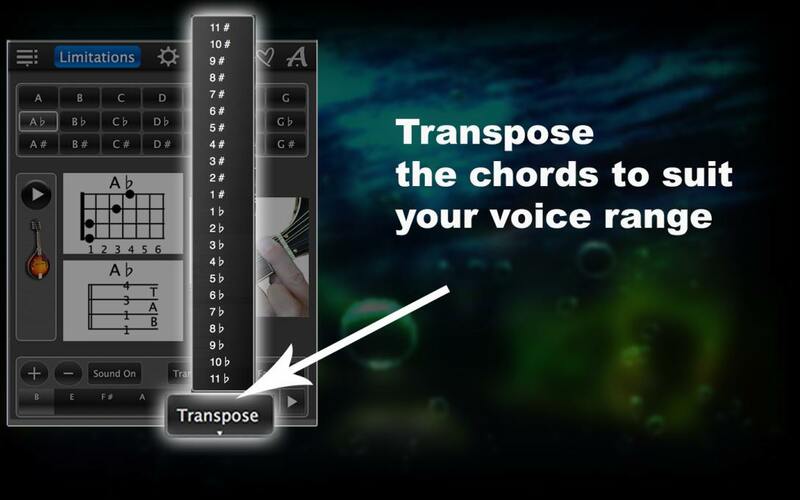 You can also change the key of the chord sequences to better match your vocal range. 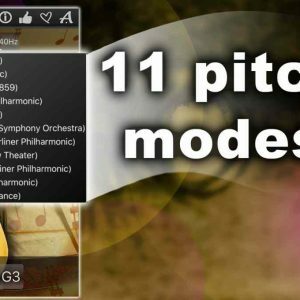 Select the required pitch and the app will show you the custom chords in 3 different ways: as notes, as fret charts, and as colored images that display the finger positions on the mandolin fretboard. 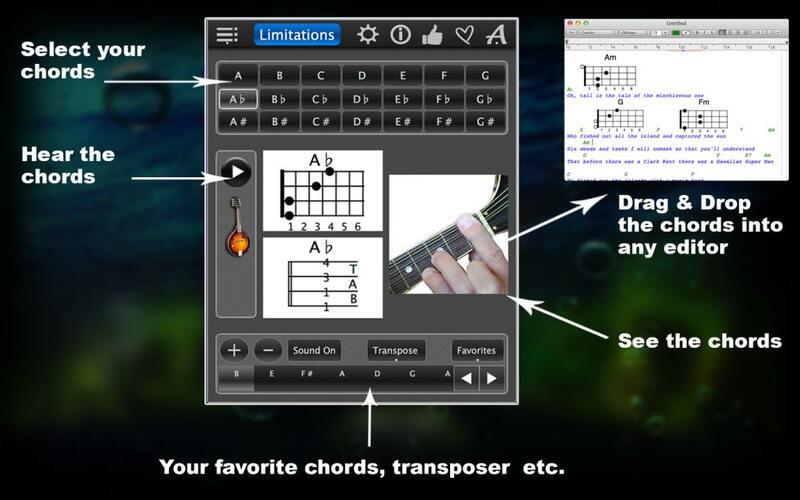 Discover the variety of chords! Listen to them with an authentic mandolin sound, create your own chord sequences and change the chord sequence in your created sequences when you want! You can save your files in your documents using the “Drag & Drop” function, or simply store them in your app under “My Favorites”! 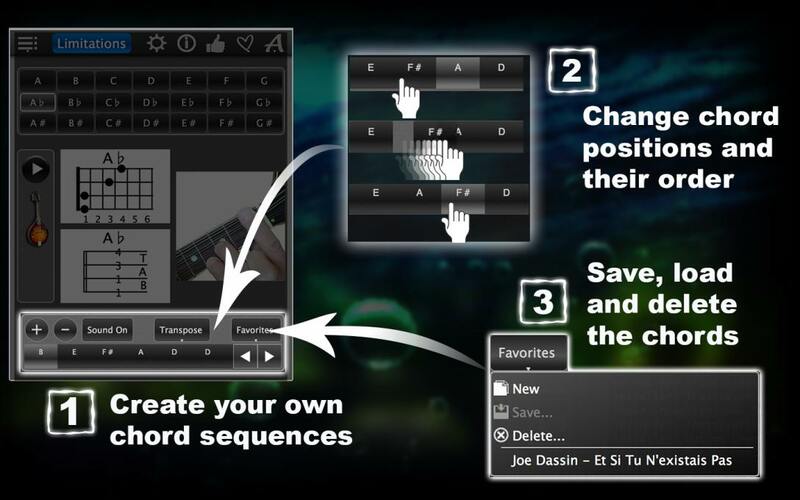 You can save as many chord sequences as you like or delete those you no longer need. Do not forget the ability to change the pitch to adjust the chords to your pitched. That makes it easier for you to sing!